Unfortunately, it is that time of year when colds, flu and general sniffles are rife. Obviously, in an ideal world, we would all use re-usable handkerchiefs. But many people opt to use paper tissue. So, what do you do with your used tissues? Used tissues are covered in germs and other goodies. Therefore they should not be put in your recycling bin, your city’s organic collection bin or in your regular compost bin. But, don’t throw them in the garbage just yet! Find out how to compost your used tissues in your bokashi bucket. Why can’t used tissues be recycled? A clean tissue is paper and this can be simply put into your recycling bin. Though I’m not quite sure why someone might want to recycle an unused tissue! However, once its used it becomes contaminated and no longer good for your paper recycling bin. So what about your compost bin? Unfortunately your traditional compost bin or your curbside organics pick-up is not the place for your used tissue either…. Why can’t I put used tissues in my regular compost? A tissue used to clean-up a spill or wipe dirty hands and faces is fine for the compost bin or organic collection bin. If your tissue has been used to collect snot, bogeys or other unpleasantness that is produced during a typical cold or flu then unfortunately it shouldn’t go in your regular compost. Most germs and viruses only survive for few hours outside the body, however there is evidence of some viruses surviving for a few weeks outside the body. Germ-ridden tissues should not be put in traditional compost bins or the city collection bins. This is to control the spread of the disease. So what should you do with your dirty tissues? At this point a lot of people opt to put their used tissues in the garbage but it doesn’t need to be that way. Your used tissues (germs and slime) can all be added to your bokashi bucket. The fermentation process produces an acidic environment and is known to kill harmful pathogens which may survive in other composting processes. Collect your used tissues in a sealed container and simply add to your bokashi kitchen composter at the end of the day along with your daily food scraps. 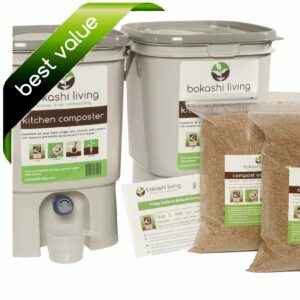 You may need to slightly increase the amount of bokashi compost accelerator (bokashi bran) that you add to your kitchen composter to compensate for the increased volume of organic material in your bin. Make sure to compact your food scraps and tissues to remove any air. You can then return to your honey and lemon and putting your feet up on the sofa! Will used tissues affect the quality of my bokashi compost? Remember that food waste is the by far the best ingredient to make high quality compost from your bokashi kitchen composter. The compost produced from used tissues will be of lower quality. 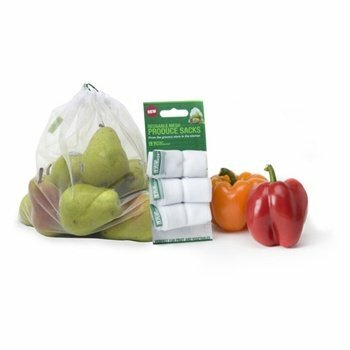 Many people may choose to exclude used tissues from your bokashi kitchen composter for this reason. However, if you want to avoid throwing used tissues into the garbage, then the bokashi composter provides a great solution.